In The Truth About Muhammad Spencer gives us a clear-cut picture of the canonical Muhammad. Nevertheless in his ensuing book Spencer’s fresh research unearthed forensic evidence whose title asks the hard question, Did Muhammad Exist? Is that just an provocative title to sell books or are there substantive proofs? We already know that the Arabs of antiquity were polytheists. The official Muslim explanation states that Muhammad converted the Arabs to belief in absolute monotheism or tawhid. After Muhammad’s death and the Wars of Apostasy were fought and won by the Moslems, the Arabs became united behind the monotheistic Moslem or, later, Muslim god. But the narratives of Muhammad’s contemporaries are in opposition to the “official” explanation. As we said, the Arabians before Muhammad were polytheists. Islam ended that. Almost all of the chroniclers in the lands invaded by the Mohammedans and who were writing in the years immediately following Muhammad’s death referred to them, not as Muslims but “‘Hagarians,’ ‘Saracens,’ or Taiyaye.’ The invaders referred to themselves as Muhajirun, [or] ‘emigrants’ . . .”. Spencer’s book chronicles many comprehensive cases of discrepancies between canonical accounts of the Muhammad of Islam and the accounts of him by his contemporaries. The historicity of early Islam of both Moslem invaders and those they conquered are extremely wooly and imprecise. Is it not strange that so little is really known of Muhammad historically? And is it not curious that the Qurán says so little about Muhammad, yet he is the kingpin about whom Islamic law and practice revolve? Muhammad was illiterate. Yet according to one Hadith he once stated, “I have given orders, exhortations and interdictions which count as much as the Koran if not more.” This does not look like a sentence composed by an illiterate. Considering the words chosen in this short sentence, exhortations and interdictions, one is drawn to ask, “Are these the words and the sentence structure of an illiterate?” Also considering the fact that Gabriel threatened him with bodily harm when he dictated the Qurán, is it likely Muhammad would say his orders count more than the words of the Qurán? Within this short sentence the inconsistencies seem remarkable to me. Inconsistencies are found even with Muhammad’s primary biographer, Muhammad Ibn Ishaq Ibn Yasar (Ibn Ishaq). For one thing Ibn Ishaq was not a contemporary of Muhammad’s. In fact Ibn Ishaq died over 140 years after Muhammad’s death in 632 A.D.. This is more than enough time for fable and legend to creep in. Indeed Ibn Ishaq’s complete work, Biography of the Messenger of Allah no longer exists in its original form. The only extant manuscript is a “reader’s digest” version compiled by yet another Muslim scholar, Ibn Hisham. And Ibn Hisham died even later than Ishaq—over 200 years after Muhammad! Factual information about Muhammad was not only sketchy, but bizarrely inconsistent. Evidently there was enough information to create a folklore luminary. Though Muhammad reportedly died in the early seventh century, it was not until the very late part of that century and into the eighth when the Umayy-ads used the term “Islam,” as opposed to other names that people conquered by the Mohammedans had used, such as Saracens, Hagarians, and Ishmaelites. It was then that Islam’s prophet began to be mentioned as well as Muslim’s books. “Muhammad, if he did not exist, or if his actual deeds were not known, would certainly have been politically useful to the new Arab Empire as a legendary hero.” As the key personage for this newly minted Arab religion it was important that he originate from central Arabia. He would need to be a sword-wielding prophet to fit the imperialistic character of the fledgling empire and he would need a sacred book to validate his inveterate colonialism. It is perhaps no coincidence that the Qurán betrays many Syriac influences. This Arabic scripture contains numerous non-Arabic elements and outright incoherencies. . . . By investing Muhammad with prophetic status and holding him up as the “excellent example” of conduct for Muslims (33:21), the Qurán sparked a hunger to know what he actually said and did. . . . The real proliferation of material about Muhammad’s words and deeds . . . reached its apex during the Abbasid caliphate. The Abbasids replaced the Umayyad in 750; the great canonical Hadith collections were all compiled in the early ninth century. Remember the Hadith is supposedly explanatory sayings of Muhammad which clarify the Qurán. But how does anyone know what Muhammad said 200 years after his death? How would someone no what anyone said 200 years after they spoke it? Thus one must question the Hadith’s validity. This illuminates many apparent problems with the supposed claims of Muhammad being the sole conduit for the Qurán and its divine source. All in all, it seems problematic that Islam did not really gel or solidify until 200 years after Muhammad’s death! All of this combined: the tardiness of Muhammadic biographical facts, the fact no one heard of or spoke of Muhammad until very late, discrepancies and changes in the Hagarians’ religion, and the Qurán’s and Sunna’s blatant contradictions necessarily must be explained. The fissures in Islam seem to me to be too plentiful to plug effectively. I have only just scratched the surface of what Spencer’s methodical research unearthed. 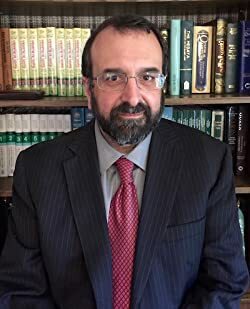 Nonetheless he gives us empirical, forensic evidence that douses the timeworn, threadbare claims and sanctioned dogma by Muslim leaders and Imams. Did Muhammad exist? As a prophet of the Arabs who taught a vaguely defined monotheism, he may have existed. But beyond that, his life story is lost in the mists of legend, like those of Robin Hood and Macbeth. As the prophet of Islam, who received (or even claimed to receive) the perfect copy of the perfect eternal book from the supreme God, Muhammad almost certainly did not exist. There are too many gaps, too many silences, too many aspects of the historical record that simply do not accord, and cannot be made to accord, with the traditional account of the Arabian prophet teaching his Qur’an, energizing his followers to such an extent that they went out and conquered a good part of the world. A careful investigation makes at least one thing clear: The details of Muhammad’s life that have been handed down as canonical—that he unified Arabia by the force of arms, concluded alliances, married wives, legislated for his community, and did so much else are a creation of political ferments dating from long after the time he is supposed to have lived. Similarly, the records strongly indicate that the Qur’an did not exist until long after it was supposed to have been delivered to the prophet of Islam (emphasis mine). Thus Spencer closes out his excellently researched, illuminating book with the question and statement “Did Muhammad exist?” As he says the full truth may never be known whether or not Muhammad lived in Arabia during the seventh century. If so what kind of man was he really? Yet “it would be intellectually irresponsible not to ask the question.” It would also be foolish not to hold Islam up to this higher criticism or deliberate the consequences of the accumulated evidence. [a] Monophysites believed Jesus Christ had only one nature, that was both divine and human. Abu Dawud, 2:31 (quoted in Ignaz Goldziher, Mualim Studies,trans. C. R. Barber and S. M. Stern, vol. 2 [New York: George Allen and Unwin Ltd., 1971], 130). This entry was posted in Islam, Muhammad and tagged Islam, Muhammad, Quran, Robert Spencer. Bookmark the permalink.